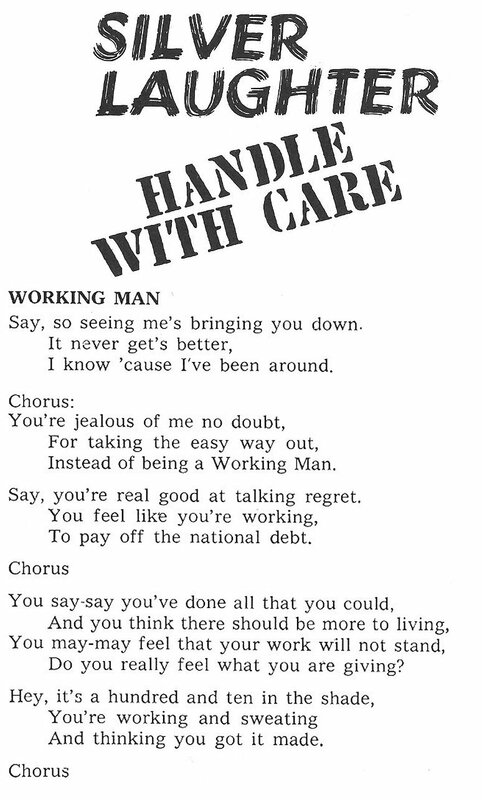 Sung by Ken, this was our little jab at the work world we left behind. Much like Dire Straits’ “Money For Nothing” or Bachmann Turner Overdrive’s “Taking Care of Business”, we chose to talk about how we took the easy way out by being musicians. This is far from the truth. Though it looks like fun, it is a lot of work to be on the road for months on end without much of a break. Look here for more thoughts on this Silver Laughter song that originally was inspired by Elton John’s “Rocket Man”. ‹ Should it Be The Silvers or The Lafters?